The world’s largest bittorrent network site kickassTorrent has been recently down. The justice department of the United State took strict steps against Artem Vaulin, the Ukrainian owner of the site living in Poland. The alleged owner was charged to court on the cases of several copyright infringements by the Holywood industry. Now, access to the KickAssTorent site is currently blocked and all domains apprehended. Why KickAss Torrent KAT down? Torrent distributor sites such as KickAss Torrent are alleged to be distributing copyright materials like TV series, movies, Premium software, etc, which are all illegal. We recently saw how the PirateBay site went down. During those periods, KickAss Torrent came on board by creating the torrent database online for everyone to make their own PirateBay site. Unfortunately, after few years KickAss Torrent is now battling under the threat of the US Justice Department. After KickAssTorrent shutdown, it’s important that users should know how the site owner was caught. Firstly, the FBI secretly collected the owner’s email address when a spying agent contacted him for advert placement. Then the site owner made an Apple’s store payment and BOOM! He was caught. His IP address was tracked down to Poland. Police took to his location and got him arrested. Do you know how he was traced? Through his IP address- so we highly recommend everyone to use a VPN for torrenting. Using a VPN changes your IP address so it becomes impossible for your government to trace your location. VPN encrypts all your traffic and protects your privacy from ISP, Govt agency, office admin, etc. Though there are free VPN’s out there we’d advise you against using them as they are not that reliable. Chances are free VPN providers could be working the Government agency to track down your location. So, its better you go for a VPN that will never log usage data and support bitcoin payment for complete anonymity. Here is a step by step guide on how to use a VPN for torrenting. First, sign up with your favorite VPN service. Make sure they allow p2p traffic (Expressvpn supports P2P). If your VPN server is not supporting Peer-to-Peer protocol, you may find it hard downloading torrent when you connect to a VPN server and get banned from vpn provider without refund. After creating your VPN account, download and install the app on your PC, Mac, iPad, iphone, or any other android device. Launch the app, sign in, and connect to your favorite VPN server from the app. Now, your traffic becomes encrypted. You can easily browse the web, stream movies, download files while staying anonymous. Now, accessing KickAss Torrent becomes a breeze. In July 2015, reports had it that Google Chrome had started blocking access to KickAss official website because it contains “harmful programs”. Within the year 2014-2015, KickAss has moved their domain names for several times. Around November 2014, they moved to Kickass.so. Not quite longer, the domain was apprehended by the Somalia government and the site later moved to kickass .im. Also, immediate strict actions were incurred by the Isle of Man domain registry to remove the domain names- later on kickAss shifted to the Kat.cr domain. The site owner obtains revenue from adverts and affiliate terms, mostly with team companies that produce software to mask BitTorrent users from getting detected by government agencies and monitoring companies. Now the justice department of the United State has taken strict steps against Artem Vaulin, the Ukrainian owner of the site living in Poland. Vaulin is now faced with numerous charges for going against the copyright infringement law. Vaulin was deported back to the U.S where he will have to face trials. The acclaimed copyright charges amount to a 5-year imprisonment, but for the money laundering charges- he could spend up to 20 years in jail. The reason for Vaulin being charged by an Illinois court dates back to three and a half years back when KAT out of their servers (alongside Canada servers). Now, the KickAss Torrent is completely unavailable- including all its major mirrors. Also, its worth knowing that no other kickass Torent employee has been arrested in lieu of this development. This is one of the recent KAT clones and more importantly, a recommended domain for KAT users. This alternative is currently up for access alongside comprehensive KAT library including all its features. Kickasstorrents.co all welcomes you to download your favourite songs, movies, video clips, documentaries, and TV shows. This interesting KAT clone all features a complete game and app library of the original website. You don’t need a VPN hence you can log in from anywhere. 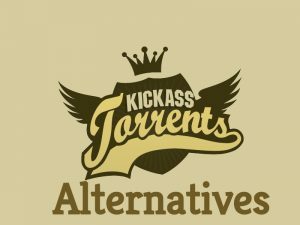 Kickass.cd is another great alternative of kickass torrent that where you can swiftly download games, movies, apps including other available torrents on the original KAT domain. ​ Known as the latest Torentz clone, Torrentz2.eu is fast with a powerful Metasearch engine like the main website. Termed the original copy of the parent website, Kat.how still clones the original KAT torrent library. This clone can help you download your favorite movies, apps, games, and lot more. Now that KickAssTorent site is down due to the police surge and how the site owner was arrested. it is not glaring enough to conclude if the site will come up and running again. Only time can tell us if KickAss Torrent can rise from the dust. The question is who knows?